Ever purchase a 1TB hard drive and find yourself disappointed when it showed up under ‘My Computer’ as 931GiB? If so, you may not have really understood why and felt cheated by the manufacturer. However, there is a simple and innocent reason for this. Computers evaluate numbers on a different base than humans. As human beings, we generally perceive numbers and mathematics on a 10-base number system. Why? The simplest answer is probably that we have 10 fingers and toes. Thus, 10 is a number which is easy for us to make sense of. This is not the case with computers. Most people are aware that computers perceive data in binary form, or 2-base numbering. There’s always only 2 possibilities. A circuit is either on or off. 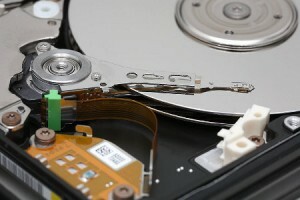 How does this relate to the hard drive? Recently, I’ve decided that I want to write my own statistics package in Java (I’m too bored for my own good). Originally, I wanted to write my own classes to handle the probability calculations under curves. However, this became a bit much when it came time to do f and student-T distributions. As such, I gave up and am now using a Java class provided by CERN laboratories under the GNU license. I was recently contacted by the owner the website, NetTrain.com, and asked to further develop my Subnet Calculator (mentioned in previous posts) from a WordPress template page to a full-blown plugin. NetTrain provides technical training to individuals seeking to acquire various Cisco Certifications. Thanks to their funding, I was able to allot time and convert the php code into a WordPress plugin, making several improvements along the way. This will be the first in a number of tutorials which I plan to post regarding IT topics and solutions to problems which I run into both in a business environment and personal tinkering. As mentioned in a previous post, I’ve developed a WordPress plug-in to display a user’s Steam Stats as a widget. It’s available for download here. However, this does no good to anyone without a WordPress-based-site and I wanted to make the source freely available. As such, I’ve included it below. Valve provides Steam profiles as an XML feed which can be parsed and formatted according to a developer’s needs. To personalize the script, simply edit the URL following the “$profileURL” variable. //Variables. Edit Profile URL to match the link to your personal Steam Community Page. Today I completed my very first WordPress Plugin to display a user’s Steam Gameplay Stats. To those unfamiliar with Steam, steam is a windows community application for video gaming. It allows users to store and purchase titles from many different publishers online and also offers an excellent community element to chat, browse the web and compare stats with friends. More information is available here: www.steampowered.com Steam is likely the future of pc gaming as it allows a much more secure and economical publishing method for many game studios. I’ll likely be posting the widget for free distribution on WordPress’s site soon. I’m in the process of making the widget more accessible to normal users as it currently requires the manual input of a user’s steam account URL into a text file. Update: I’ve release version 1.01 of my Steam Community Gamestats Widget. I’ve been sick recently and had a lot of time to revise the code and better adapt it to WordPress’ Widget Class implemented in WordPress 2.8. 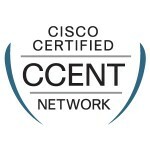 I’m pleased to post that yesterday I passed the Cisco ICND1 exam with a score of 916 / 1000 ! 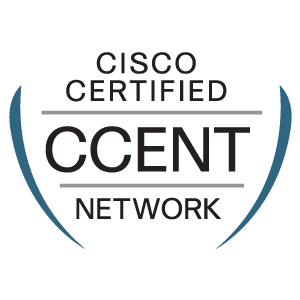 This places me closer to my short term goal of obtaining the CCNA certification by Thanksgiving and in the meantime attributes me with the Cisco CCENT certification.